Download and build latest STABLE version of the LibRaw from the project downloads page. For example: LibRaw-0.18.11.tar.gz as for 15 May 2018. But don’t forget to remove previous/repository installation of the library! This steps should be done without any errors. In case of problems check out the error messages and fix your environment, you can lack some required package, for example. Library: -lraw (ordinary version) or -lraw_r (thread-safe version). If you configured library for another path (/usr/lib) – correct this params to your own. There are two API’s available – C++ and pure C. They are they are quite similar by concepts and functions/methods naming. Of course C++ version uses objects and methods but C only structs and function calls. In my project I’m using C version of the API so in following examples we will use this language. It very easy to switch to the C++ api after learning basic concept of this library. Everything we need is available only in one header file so don’t forget to include library in the beginning of your source file. Library is accessed through libraw_data_t structure which holds all library internals structures during program execution. Initialization method returns NULL in case of error, pointer to the structure in all other cases. Some LibRaw methods may return integer error codes. You can convert this codes to the human readable strings using libraw_strerror() method. Now we ready to load our RAW image from the file (picture.cr2 for example). Here you can see proper errors checking and usage of the libraw_strerror(). libraw_open_file is very fast since that this methods only access file without any data loading and decoding. After successful opening of the file we can unpack RAW data to get access to the image meta tags and actual image data. This operation may requires some time depending on the file size and your computer resources. We can get some visualisation of the unpacking progress by setting progress handlers. Arg is a pointer to the custom data, you can put here everything you want to use in decoder_progress_callback. This callback may terminate current image processing by returning of non-zero value. In such case all processing will be cancelled immediately. decoder_progress_callback must be called before actual data unpacking and decoding. Unpacked images must be released in the end of the processing. At this point we can get some useful information from the our RAW file: camera model, lenses, exposure and other params. Note that depending on camera vendor/model some of the data may not be available. libraw_iparams_t – The structure describes the main image parameters retrieved from the RAW file. char make – Camera manufacturer. char model – Camera model. libraw_image_sizes_t sizes -The structure describes the geometrical parameters of the image. libraw_lensinfo_t lens – The structure describes lens used for the shot. Read the official documentation about this huge strusture. libraw_imgother_t other – Data structure for information purposes. You can get raw image buffer from the library to do all post processing by yourself. But in this case you have to deal with Bayer RGB filters. Bayer color filter array is a popular format for digital acquisition of color images. The pattern of the color filters is shown below. 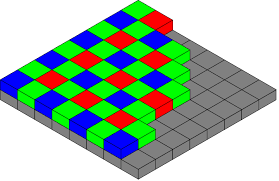 Half of the total number of pixels are green (G), while a quarter of the total number is assigned to both red (R) and blue (B). In order to obtain this color information, the color image sensor is covered with either a red, a green, or a blue filter, in a repeating pattern. This pattern, or sequence, of filters can vary, but the widely adopted “Bayer” pattern, which was invented at Kodak, is a repeating 2×2 arrangement. Note that different cameras may have different pattern of this filter and even non-square pixels. You should know all the information about your camera sensor if you want to process this image manually. To convert an image from the bayer format to an RGB per pixel format, we need to interpolate the two missing color values in each pixel. Several standard interpolation methods (nearest neighbor, linear, cubic, cubic spline, etc.) is exists. Getting raw buffer from the LibRaw you actually getting three buffers: RED, GREEN and BLUE. All buffers have same sizes (size of the image) but with “holes” in the place of other colors pixels. Now you can apply some Bayer Interpolation algorithm to mix this image matrices get proper RGB image. You still have to do with three separate buffers for colors, but now every point this buffers is filled with proper mixed value, without any “holes”. 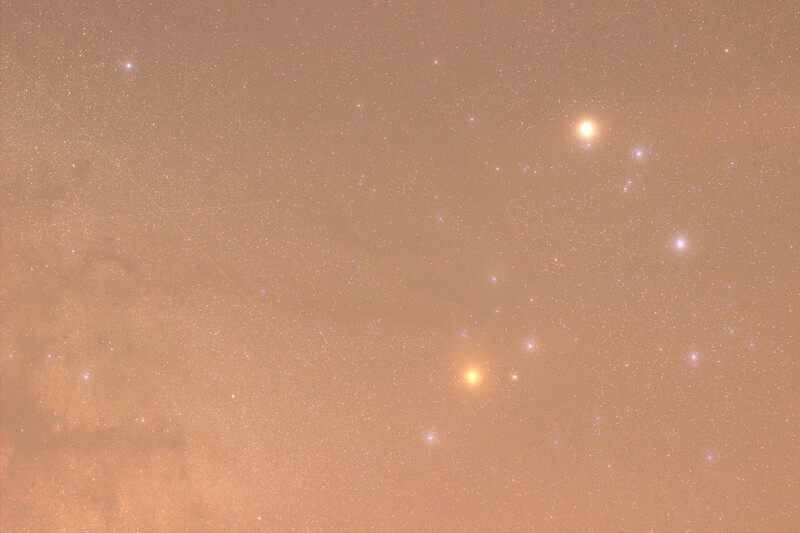 Also at this point can be applied several corrections to the image: white balance, brightness and so on. This is separate subset of API for simulating dcraw functionality. Getting RGB image is required few simple steps. In this example you can find new data structure – libraw_processed_image_t. This structure is holding processed image. RGB image can be accessed by proc_img->data field. This field is just a byte array holding every pixels of the image in the following pattern: RGBRGBRGBRGB…. 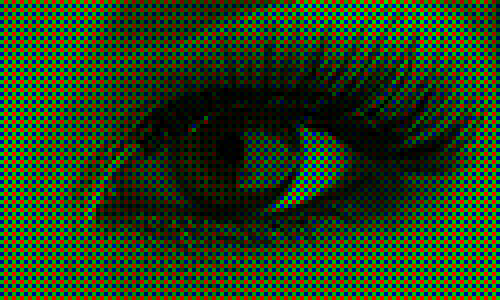 where every R, G and B is a pixel luminosity value after debayering process. Here on every cycle iteration we get red value in rgb, green value in rgb and blue value in rgb. Now we can do with this values everything we want, copy to separate buffers for future processing or mix up to grayscale. 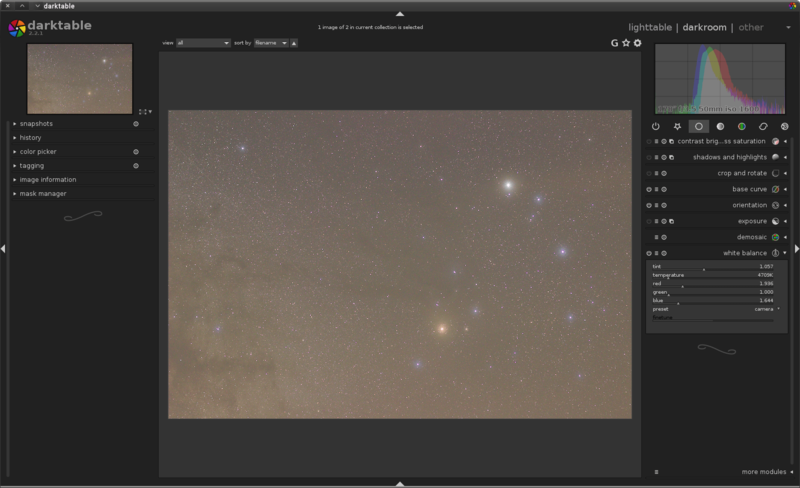 In my Raw2Fits converter I’m using this pixel values to store image in to FITS file. In the next article I will describe this in details. But you can discover this source file. In this article I can show you another example. Let’s convert RAW image in to standard JPEG! We need one more library – libjpeg. Following example contains all code from the above and usage of the libjpeg to store compressed RAW image. LibRaw allow us to configure some decoding params. We can disable interpolation, apply autobright and so on. Run code again and check result. Generated image should be darker and more natural. Using different version of LibRaw you can found that some functionality is not implemented yet or working not properly. Using special library macroses we can check LibRaw version at compilation time and disable some code.